Dual-National arrests: In Iran, we grow up with censorship and ostracism. Are we going to perpetuate our elders’ teachings in Keeping silent? Since April, Richard Ratcliffe has circulated a petition to free his wife, British citizen Nazanin, arrested in Iran. Nazanin, Iranian born, was taken into a provincial prison. Their baby daughter, Gabriella, travelling with her mother, was to be cared for by her Iranian grandparents. Her passport was confiscated, preventing the toddler from leaving the country. During the years to come this sentence became the motto for all Iranians. It is now believed that the guilt of human right abuses and violence will be only for the ayatollahs; the subjects cannot be held responsible – they are victims. However, no situation is either black or white. Fear has become the dominating characteristic of the social behaviour, although Iran is a proud nation. Iranians have managed to bury their fear and irresponsibility in a sophisticated social manner: open, gentle and friendly when things are right and the skies blue; keeping to themselves, and even hiding, when things go wrong and a storm looms. During all these past years, I have come across dozens of testimonials on arbitrary arrests and imprisonments of innocents. The striking common point of testimonials from the scenes of arrest is the silence of bystanders or neighbours. There is no protest, simply an accepted situation. The only voices heard are those of the afflicted close ones. The Iranian judiciary system takes the prisoner to an unknown place, in solitary confinement, and interrogates them for hours without a lawyer to assist. The system is spare with words and refrains from informing the desperate family. The close relatives wander from one office to the next, plead with the officials, try to learn about the charge, and return to a noiseless home, desperate and empty handed. 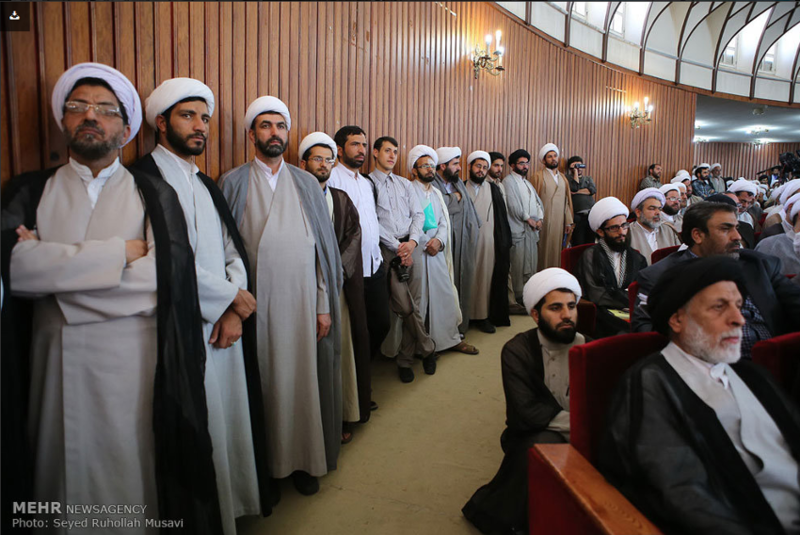 Faced with the crushing and inhuman Iranian judiciary, they are left on their own. The extended family, neighbours and friends desert them. The phone will not ring any more for Ahval-porssi, endlessly asking after their health and engaging in idle chat. For relatives, friends, co-workers and neighbours an arrest smells of crime, even baseless, and brings shame to the family of the arrested. Therefore it is best to keep away, as if for fear of contamination. In doing so, unconsciously they take the part of the regime, the strong party. But then, in Iran, applauding the despots is a common characteristic. The right word for this desertion is ostracism. Fear cultivates cowardice among citizens. This is what we are, despite our sweet-talk, intellect and higher education diplomas: rabbit-hearted. We know that the arrested person, be it a man or woman, has been charged falsely, we know that the whole system is corrupt and violent. But we do nothing. We even push the charges further by finding made-up faults with those fallen victim to the lies, injustice and violence of the ayatollahs and their crooked justice. It is a way of reassuring ourselves of our irrational behaviour. In the West, the double nationals, naive and full of illusions, go to visit their families in Iran and, one day, they fall in the spider’s web of the regime, no reason given. Sadly, the Iranian communities produce the very same cowardice and show the ostracism toward the close family of a double national, when the latter is arrested in Iran and becomes a hostage to the Velayat-e Faqih. The Iranian friends of the distressed family in the West thin out, the phone calls are fewer and far between. The close family, parents, husband and children are on their own to face anxiety and the lack of information. The Iranian friends, those who have shared the graduation ceremony, who have gone to the weddings or brought presents for the children, make their presence felt less. If met by accident, they mutter lame excuses for their absence. On the spot, some feeling embarrassed may offer to take action, rarely fulfilled; best to stay put and do not get involved. Our Masters. The Iranians have bent to their whims. The Iranians, wherever they may live, let themselves be governed by the tyrants. By practising the ostracism, the Iranians serve their masters, the ayatollahs. Freedom from servitude comes not from violent action, but from the refusal to serve. When a dual national is caught in the claws of the ayatollahs’ judiciary system, the Western country is never fast in reacting. From family in Tehran and the offices of the Western country concerned, the advice is “keep quiet”, in the hope of finding a solution without too much ado, and preserving the ties between the countries. All parties are aware that the playmakers are the officials in Tehran: the arrests are triggered by their political agenda, and the prisoner is their bargain chip. The prisoner is an Iranian subject as well. How they will use them is anybody’s guess. Once in a while, among the many that go missing, the arrested person’s family in the West chooses to inform the public, tired of “no reply” from their own government. A petition is signed by the members of the public and presented together with a letter to the highest authorities of both countries. The signatories are mostly Westerners; Iranians make themselves scarce. They fear having their name on a petition. The authorities in Tehran are known to be keen on the details, and maybe one day will use it against them. However, there are ways of staying discreet and expressing one’s mind. In this, the Iranians somehow show an incredible lack of imagination. 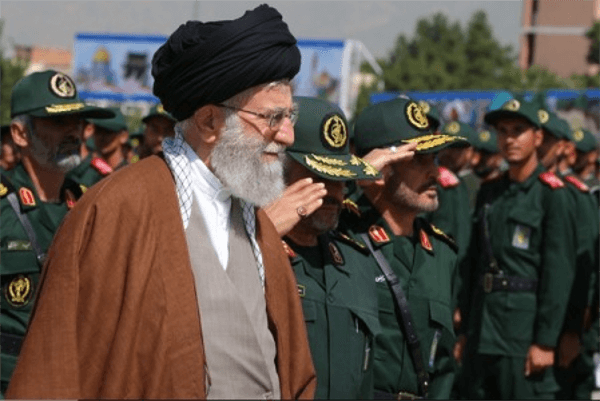 Today, Iran is a military theocracy: violent, dogmatic and tyrannical. Despite his white beard, the Supreme Leader is no Santa-Claus for the children. The signatories to the petition have yet to discover the full extent of the harsh realities of Iran, which the Iranian community is much anxious to hide and avoid being in the open. These realities are tyranny, humiliation, arbitrary arrests and a crooked judiciary system. Through his open and courageous updates, Richard Ratcliffe discovers censorship, double languages, and double-dealings, so familiar to the Iranians themselves. The censorship stays an unsavoury notion and practice for those born and raised in the West. No Westerner can feel it in their gut and ever imagine the devastating effect on individuals and its implication. The bitter experience of censorship may last forever. In Iran, we grow up with censorship. The perverse side effect of it is that self-censorship, in all circumstances, has become part of our nature. In our daily interactions we hide what we say in Ta’arofs, a double language. We do not learn to associate with our fellow citizens and take up common causes. We are party to an oppressing system, since we never learn how to challenge it, and we do not want to learn, even later in life. We wait for others, preferably the Westerners, to take up a cause and then we follow suit with enthusiasm, if the case is politically safe, simple and only involves little trouble. Today, there was a report in the media which read: “the Iranians are elated that actor Leonardo DiCaprio is helping to raise awareness of the drying of Lake Urmia.” This was on Instagram, involving a click on an icon. As Iranians, taking care of our fellow citizens and fighting for their rights are and must be our duty. Defying the ayatollahs’ world of hatred, oppression, victimisation is and must be our responsibility. However, the perversity of the Iranian regime lies not only with our rulers, but also with us, the Iranians, the population. For us, evil deeds, disguised as religiously acceptable, are now banal. This has prevented us from thinking. Fearing the seclusion and ostracism, we stay in the tyrannical system and reproduce it. By well-developed egotism, we even tend to justify the system and our backing, no matter where we live. In the West, we benefit from the liberties granted to us. However, we do not raise our voices when faced with injustice in our home country. We remain prisoners of our mentality and culture. We have to ponder on these things. We have to think ahead. Our elders failed us in 1979. They refused to think about the future. I still remember the reassurance repeated to me and my friends so often in 1979 by our parents: “Fear not! Na-tars! 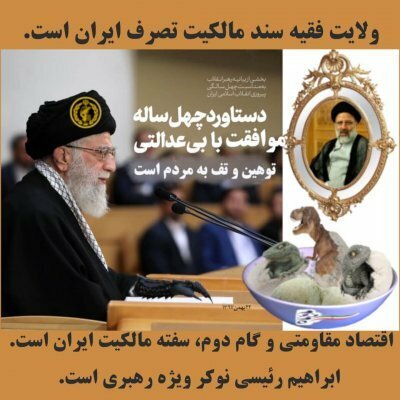 The ayatollahs will never rule the country. Soon they will pack and go back to Qom.” That was a lie, wishful thinking. They stayed to rule. As the years went by, the ugly sides of our country were buried by overprotecting children, sweet-talk, and the repeating of stories from the good old days. Today, the Iranian society is reactionary, authoritarian and nationalistic. Our little ways of avoiding unpleasantness in the privacy of our homes or bypassing the repressive despotism once in a while will not bring the major changes so much needed. Are we going to perpetuate our elders’ behaviour? Is the voluntary servitude to the ayatollahs, or any other dictatorship that may haphazardly mushroom in Iran, our vision for the years to come? To be a proud nation, we have to defy our elders, the ones who let the ayatollahs take the power in 1979, kissed their hands, and stayed on their knees. The teachings of our elders in politics are no good for us. We have to find our own ways of thinking about Iran. Ref: Étienne de La Boétie, Discourse on Voluntary Servitude, or the Anti-Dictator, 1576. The opinions expressed in this paper are ours. A clear analysis of how tyrants get power and maintain it. 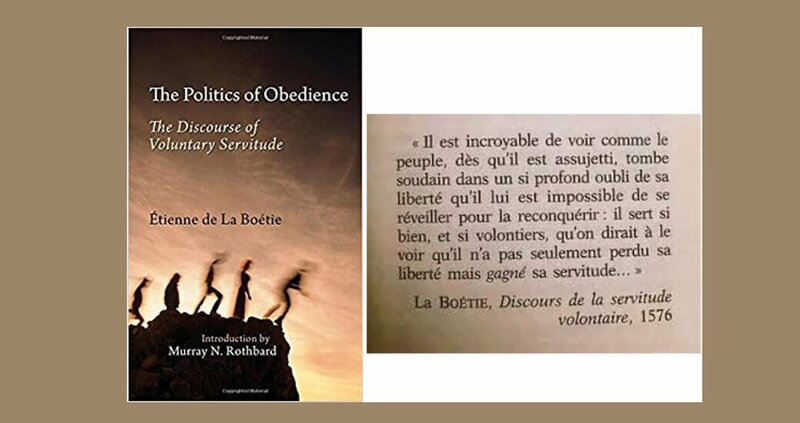 La Boétie introduces a paradoxical notion, that it is not the tyrant who coerces his people into subjugation, but the people who actively secure his power. “Resolve no longer to be slaves,” La Boétie exhorts his reader, “and you are free”.